Just like Whovians each have their Doctor, most of us out there in the horror world have their own horror host. They aren't as prevalent as they were back in the 80s when I was growing up, where we had Grandpa Munster, Zacherle, Elvira and more but they are still around. 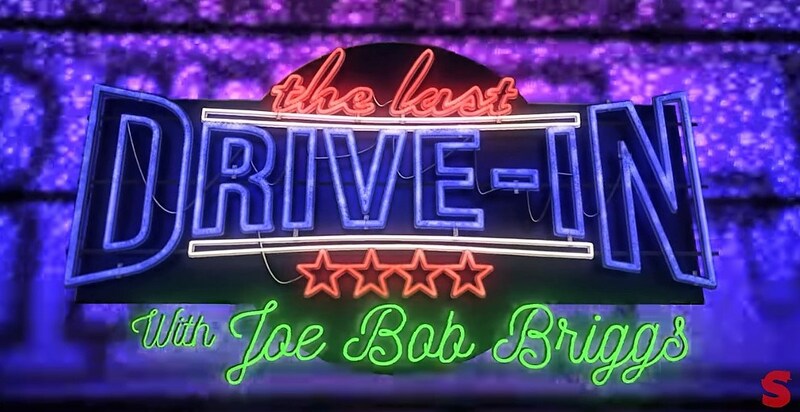 While I loved the others, my go to horror host was Joe Bob Briggs. I first discovered the laid back Texan persona of John Bloom in the early 90s, when I stumbled across his shown on TMC while looking for horror movies to watch. I'm fairly certain the movie was Zombie Island Massacre and I'm pretty sure it was terrible but Joe Bob's parts enthralled me. Not only was he funny, but the reverence he had for the movies and the behind the scenes workings of them was amazing. I kept tuning in week after week to see what new movies he had to show. When he jumped to TNT and the show became Monstervision, I followed along. It became a formative show for me in my college years as my love for horror grew stronger. I got to watch the movies I loved with a host who knew so much about them it was astounding and it was funny to boot. The mail girls only added to my appreciation for it. Once it was cancelled, I kept waiting for some other channel to pick him up, but it never happened. Thus we were left without Joe Bob and his wonderful movies for a long, long time. 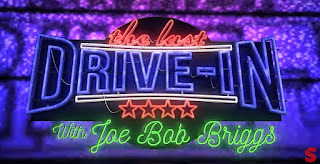 For 24ish glorious hours, the nation got to bask in the glow of Joe Bob Briggs once again, as he hosted thirteen movies on the Shudder streaming service. There were some technical difficulties at first, as the demand for Joe Bob overwhelmed the servers. (Add that to the drive in totals--one fried server) Once that was ironed out, I got to relive my college years, drinking and laughing and having a great time with some great movies and some real odd ones too. And despite all of the warts, it was perfect. It was sad though too, watching him sign off at the end of it all, not knowing if he would come back for another round next year or if someone would notice the demand and give him a show again. That's part of life and why we have to enjoy what we get, when we get it, no matter if it's for one night or multiple seasons. Hopefully, Shudder enjoys money and decides to give us a new Monstervision so we can enjoy a regular dose of him once again. If you missed any of it (I know I did) or just want to check in and see what it is all about, the whole marathon is available movie by glorious movie on Shudder. Check it out here. Remember, the drive-in will never die.